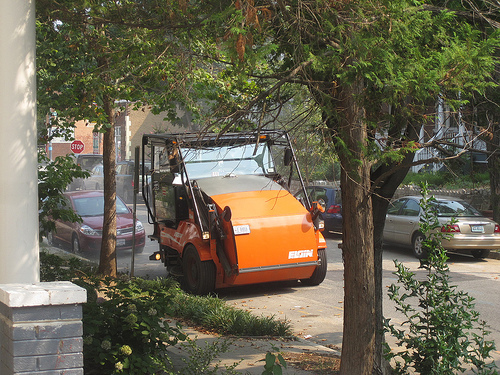 The 2012 residential street sweeping season begins Thursday, March 1, announced the DC Department of Public Works today. 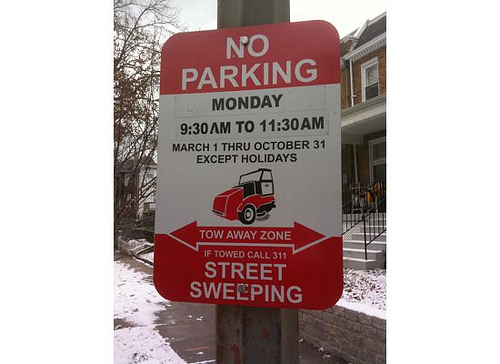 Signs are posted that identify the days of the week and hours of the day when parking restrictions will be in effect so the sweepers can clean the streets effectively. Parking enforcement of residential sweeping violations will begin Monday, March 12. He cautioned motorists to avoid parking along sweeping routes before that day’s restriction ends. “A supervisor follows behind the sweeper and may require the block to be swept again, so no one should park until the end of the posted sweeping period,” he said. For more information about street sweeping, go to http://1.usa.gov/DPWstreetalley.